In the vein of WOOL and THE HUNGER GAMES, BLOOD RUNNERS is set in a post-apocalyptic Middle America that's arisen from the chaos and bloodshed of the old century. The story takes place initially in New Chicago, a city encircled by a massive wall that separates it from the "Q Zone," a forbidden area inhabited by mutated quasi-humans called "Thresher." In an effort to eradicate crime, a new system of law and order developed in New Chicago. Efficient, yet incredibly brutal, this new system called "Absolution," revolves around young men and women who are trained in the city as human "sin-eaters" and paid bounties, blood money, to become suspects in crimes committed by those of means. "Runners" bear the burden of individual crimes and are forced to run timed gauntlets, tracked by government assassins who function as judge, jury, and executioner. The story centers on a young "Runner" who teams up with a female assassin hired to hunt him down after they uncover a conspiracy concerning the brutal head of the all-powerful Guild that controls the underworld in New Chicago. There are three books in the series. Book 1 details the rise of New Chicago's dictator, the development of "Absolution," the background of our heroes (the young Runner and the female assassin hired to kill him), and how the heroes are forced to join up and work to escape from New Chicago after they uncover a conspiracy that threatens the power structure. Book 2 explores their escape from New Chicago and efforts to hide in the Quarantine Zone, eventual rescue by a band of scavengers from a settlement beyond the Great Lakes, and how the groups join forces when some of their members are kidnapped and taken back into New Chicago by the city's dictator. Book 3 centers on the how the young Runner and assassin are forced to lead a team back into New Chicago, rescue their kidnapped friends, and confront the city's dictator and prevent him from utilizing an ancient weapon that could destroy the world once again. 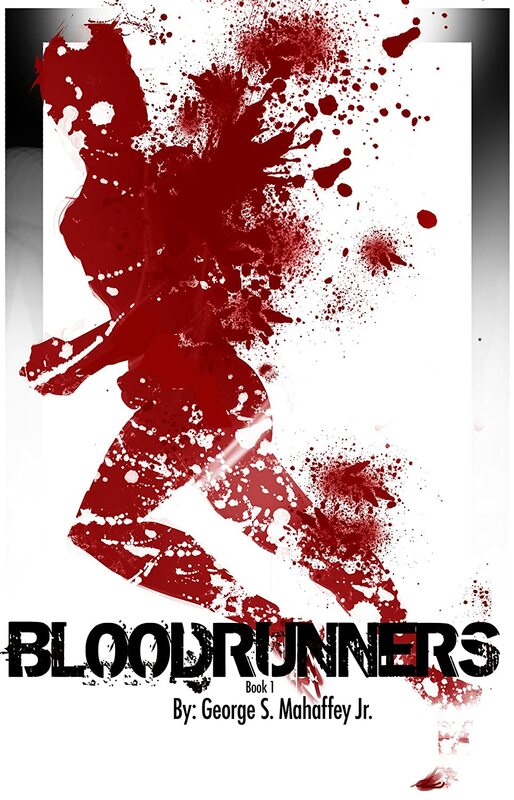 "BLOOD RUNNERS is lean and muscular, a grittier HUNGER GAMES meets THE REMAINING."